Thinking outside the box. LBP’s catering packaging options are as varied as the food and beverages they can contain. 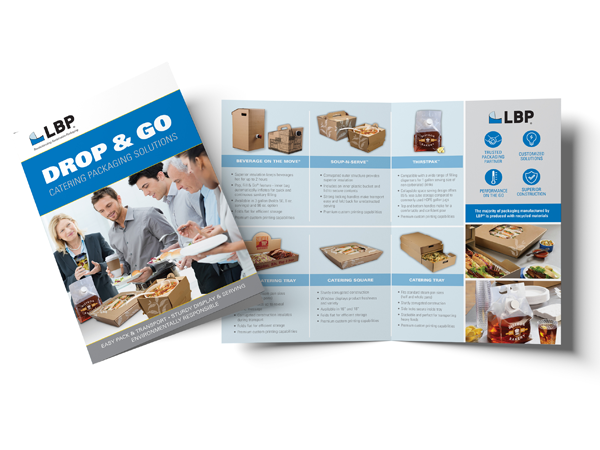 Evoke designed an informative brochure that showcased LBP’s solutions, helping their customers to imagine new possibilities in food packaging.